The U.S. Senate's health care reform debate could be derailed by progressive Democrats. Washington (CNN) -- Simmering liberal angst over the Senate health care bill threatened to boil over Thursday as a critical labor union threatened a new fight over provisions that were dropped to attract more moderate supporters. The warning came shortly after a top Senate progressive indicated he is not prepared to back the bill as currently drafted. Senate Democratic leaders also faced continuing problems with social conservatives in their ranks. A key moderate continued to warn that Majority Leader Harry Reid's bill does not do enough to bar taxpayer-funded abortions. The continuing discontent from both the left and right demonstrated the steep challenge still facing Reid as he struggles to unify his typically fractious 60-member caucus. If the minority GOP remains unified in opposition, the backing of all 60 members will be required to end Senate debate on the bill and proceed to a vote on final passage. Final Senate passage would require only a simple majority of 51 votes. The latest liberal salvo in the health care debate came from the head of the Service Employees International Union, a powerful voice in Democratic Party politics. In a letter to the SEIU's membership, Andy Stern expressed strong opposition to Reid's apparent decision to eliminate both a controversial government-run public health insurance option and a provision allowing 55- to 64-year-olds to buy into Medicare. Reid's move was necessary to win the support of Connecticut Sen. Joe Lieberman, a more conservative independent who caucuses with the Democrats. "The result of this senator saying 'we can't?' The public option is declared impossible," Stern wrote. "Americans cannot purchase Medicare at an earlier age. The health insurance reform effort we have needed for a century is at risk." His union, Stern declared, "does not accept that this monumental effort -- that this reform that is so necessary to the health and well-being of our economy, our families and our future -- can be over without a fight." Stern also warned of continuing strong opposition among union members to Reid's proposed tax on what are called "Cadillac" insurance plans -- costlier upgraded coverage. Under Reid's plan, insurers would face a tax of 40 percent on policies worth more than $8,500 for individuals and $23,000 for families. In recent years, unions often have bargained for better benefits -- including more expansive health coverage -- in lieu of wage increases. Adding to Reid's growing problem with his union base is a warning from an independent senator from the progressive side of the Democrats' coalition. Vermont Sen. Bernie Sanders, a former socialist mayor, told CNN's Wolf Blitzer on Wednesday that he has "made it clear that, at this point, it is not for sure that I will vote for that bill unless it becomes significantly better." Sanders, who favors a Canadian-style, single-payer health care system, explained to Blitzer that the "withdrawal of the public option [means] private insurance companies are not going to have any competition." He argued that insurers would "be able to continue to raise their rates as high as they want, which is what they have been doing for many years." After his interview with CNN, Sanders appeared to go a bit further in his opposition, telling Fox Business Network that "as of this point I am not voting for the bill." Sanders' concerns echoed many of those expressed by former Vermont Gov. Howard Dean, past head of the Democratic National Committee, who has called for the defeat of Reid's bill as currently written. Another potential obstacle for Reid is moderate Democrat Ben Nelson of Nebraska, who on Thursday rejected compromise abortion language in the health care bill. Nelson has said he cannot support the Senate bill without tighter restrictions on federal funding for abortion. The Senate last week defeated an amendment proposed by Nelson and two other senators that would have adopted the tougher language on abortion funding contained in the House health care bill. The Senate bill as currently written would restrict government money from being used for abortions by segregating taxpayer funded subsides from the private money women pay for premiums. In the House bill, lawmakers imposed stricter rules, preventing insurance companies that receive any federal subsidies from offering abortion coverage. Nelson said attempts in the Senate bill to keep private and public funds apart amount to little more than accounting tricks and don't live up to long-standing government practices that prevent federal funds from paying for abortions. Nelson has said a compromise on the abortion language is possible. Abortion rights opponents in Nebraska, with whom Nelson has been conferring, said attempts at finding a middle ground on the issue so far had been "entirely unacceptable." President Obama met with Senate Democrats on Tuesday and urged them to accept a compromise and pass the bill. "The final bill won't include everything that everybody wants. No bill can do that," he said afterward. "But what I told my former colleagues ... is that we simply cannot allow differences over individual elements of this plan to prevent us from meeting our responsibility to solve a long-standing and urgent problem for the American people." Obama insisted "any fair reading" of the Senate bill shows it meets the administration's criteria of lowering costs and expanding coverage while not adding to the federal deficit. On Thursday, former President Bill Clinton also urged a spirit of compromise. "Does this bill read exactly how I would write it? No," he said in a written statement. "Does it contain everything everyone wants? Of course not. But America can't afford to let the perfect be the enemy of the good." Many senators, however, have reserved judgment on the revised proposal until the nonpartisan Congressional Budget Office provides its analysis of how much it would cost. If the Senate eventually passes a health care bill, its version would have to be merged with the version the House of Representatives passed in November, which includes a public health insurance plan. The final bill would then need approval from both chambers before going to Obama to be signed into law. 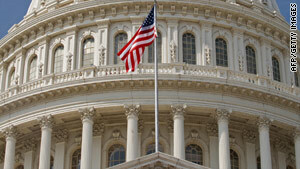 Obama and Democratic leaders have said they want the bill completed this year. The Senate would need to finish its work this week to leave a realistic chance of meeting that schedule. CNN's Ted Barrett, Brianna Keilar, Alan Silverleib and Paul Steinhauser contributed to this report .